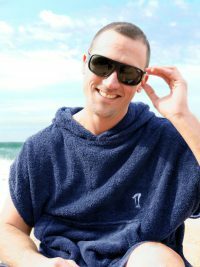 I handed out your details to several ladies at my Hydrotherapy group today, much easier to pop your robe on over a swimsuit rather that get dressed before going home. Thanks for making my life easier! 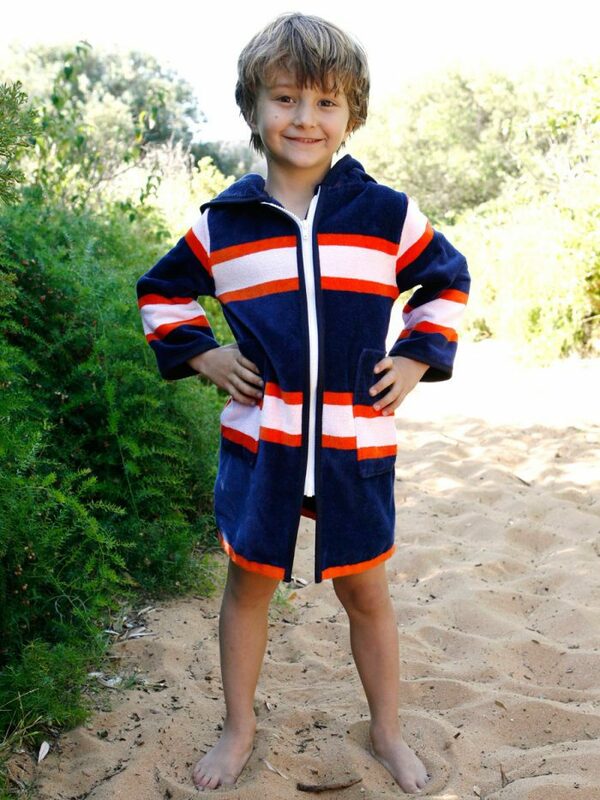 I just received my swim robe/parka today. It is beautiful and fits perfectly. Thank you again! I’m so happy with it. Many thanks for the brilliant customer service. I am absolutely delighted with my swim robe. 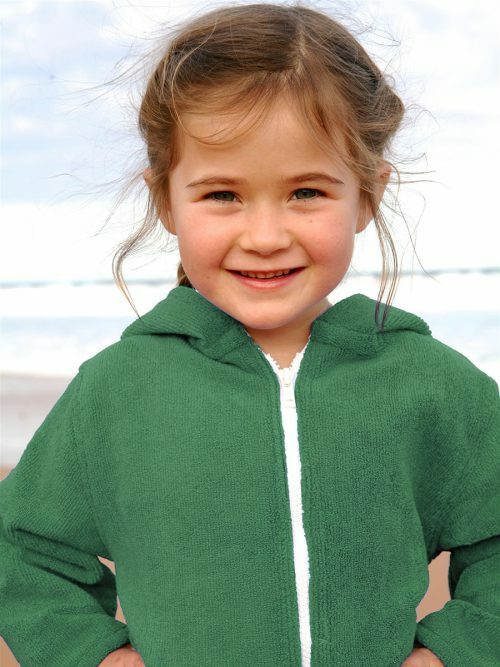 The quality of the fabric and manufacture is superb, so proud to see such a wonderful Australian product. 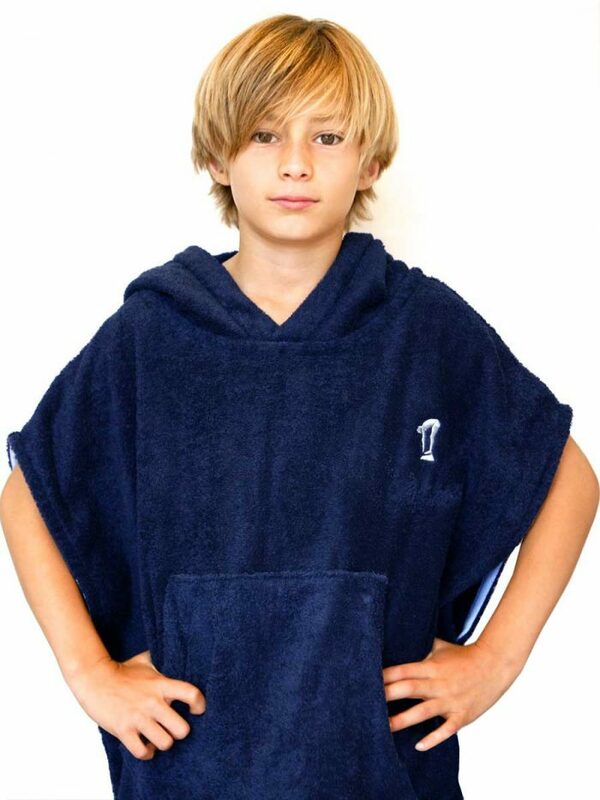 My surf poncho arrived today and even though I haven’t even used it yet, I had to jump online to let you know I am SO impressed with this product. The material is very thick & substantial, the quality of both the material & the finish is superb. You really do get what you pay for, this is a quality item. Thanks Terry Rich for such an awesome product, definitely stoked with my purchase. Now to hit the beach! Now back to buy for the 4th time – that says it all. I love the quality of this swim robe and my daughter loves it too! She can’t wait to go swimming so she can use it!! My girls LOVE them!! 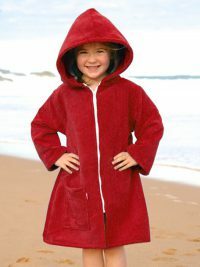 My eldest daughter got to take hers to swimming lessons this afternoon… and she was so much happier on the trip home in your gorgeous robe than with the towel wrapped around her – and I imagine it will get even better as the weather cools more. My youngest daughter wanted me to dry her with her robe after her evening shower! Such beautiful quality … designed and made with love! I love this product. This is the third one I have bought (kids keep growing!). I find them perfect for transfer between pool/car/home after swimming lessons. 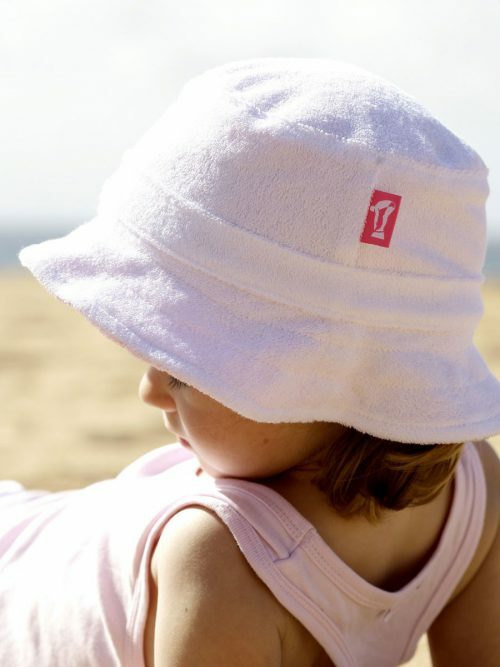 The hood is an especially good feature to keep little heads, with long wet hair warm without having to fuss about toweling hair by the poolside in the cooler months! Highly recommend! 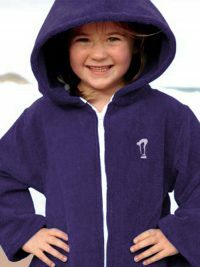 Our Luxe robe is used many times every week and although we thought initially it was an extravagant purchase, it has been used and loved so well, it turned out to be great value for money. 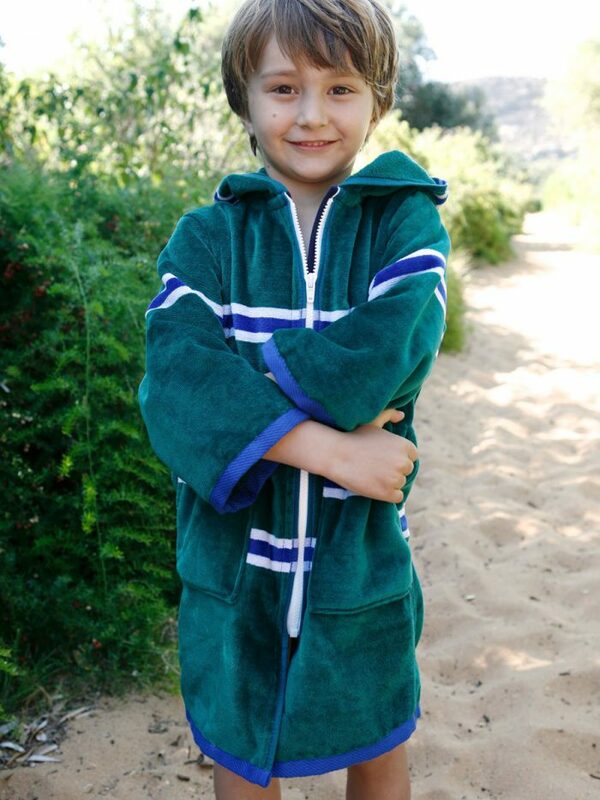 My son is usually so cold, but he has enjoyed feeling snug in the robe with the hoodie on after his swims. It holds its colour and shape well with frequent washing and drying. Fantastic product! We love your robe. When we went on a cruise last year, every single person stopped us and asked where we got our son’s robe from. My son loves this after board training. He is always the first boy changed! 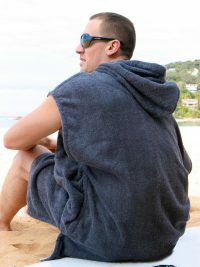 My beach cover up is my go-to whenever travelling or going to the beach! Its so light and stylish, fits any occasion, I get asked about it all the time, absolutely love it! 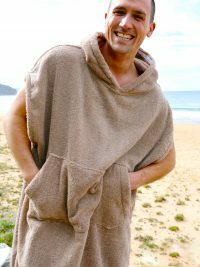 Putting my 2 year old son into his robe after a swim at the beach is a quick breeze compared to drying him then dressing him while he tries to run off and play. Life made just that little bit easier!